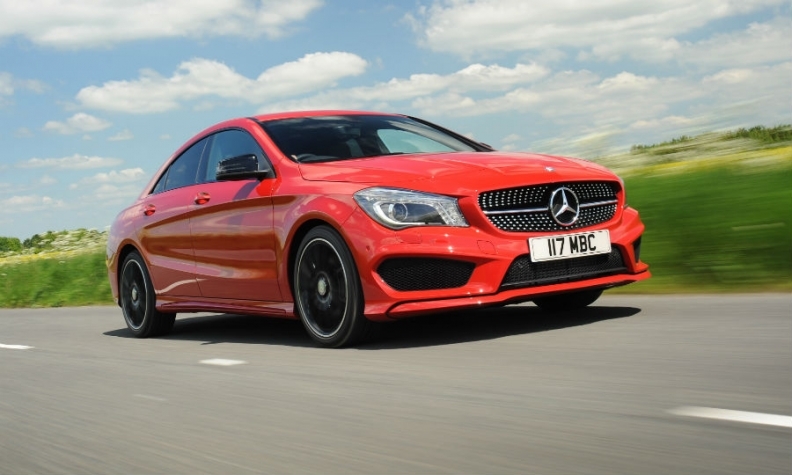 Daimler will build the next Mercedes CLA in Mexico, a report said. The current car is pictured. MUNICH -- Daimler's executive board will approve in two weeks production of a Mercedes-Benz compact sedan and its CLA coupe-styled four-door compact at a Nissan plant in Mexico, a German press report said. Daimler will set up production capacity at Nissan's factory in Aguascalientes, Mexico, Manager Magazin reported Sunday, citing unnamed company executives. Earlier reports had said that Daimler would build the GLA crossover in Aguascalientes as part of a joint venture with Nissan. But Daimler executives told Manager Magazin that the company plans to build the next-generation CLA and a new A-class sedan variant at the factory. Analysts at International Strategy & Investment (ISI) expect Nissan and Mercedes to run joint production in Aguascalientes to export to the United States starting in 2017. Production will include a compact Infiniti model based on Mercedes's front-wheel drive architecture. Annual output is expected to be between 100,000 and 150,000 premium vehicles, ISI said in a note today. Daimler and Nissan declined to comment. With numerous free trade accords, a cheap and skilled labor force and proximity to the lucrative U.S. auto market, Mexico is attracting investment by German premium automakers. BMW is nearing a decision to open a plant in Mexico to produce 3-series and 1-series cars and possibly Mini models, according to a report in the German business newspaper Handelsblatt last month. Audi is building a factory in San Jose Chiapa, Mexico, with annual production capacity of about 150,000 vehicles to make the Q5 SUV starting in 2016.